It can be a game of any genre, released from any platform. You can explain why you believe it to be the case. For me, it's New Super Mario Bros Wii, because of the local multiplayer, variety of levels and nice range of power ups and collectibles. ultima 7 the black gate. Don't have 'one' favorite game. Too many that I enjoy in equal fondness. No other game i have played even comes close to it. I'd have to pick one out of sheer depth and atmosphere as apposed to anything else. Guess I'd hand my best game to Skyrim plus the A.i has some more breadth to it than the cookie cutter A.i that most games have. 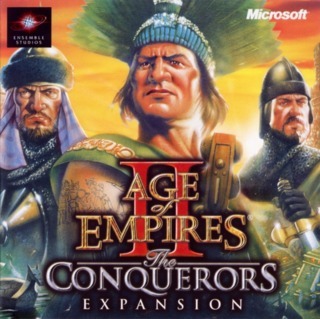 To this day If I had to choose a number one it would be Age of Empires II with the Conquerors Expansion pack. There is no telling how much of my life I sunk into that game. Even though I consider Fallout 3 to be my favorite game, The Last of Us is what I consider to be the "best" game I've played. I'm sure that doesn't make sense to some people, but I don't feel like explaining it unless someone really wants me to lol. My favourite has always been Link to the Past on the SNES. Goldeneye 007 on the Nintendo 64. God, that was amazing! Had so many good memories from that game with my brother and friends. We were all after the golden gun! I couldn't pick just one. I'll say Sonic 2 though, although that would change on a daily basis. I have played the best games for me but I think the best game I ever played is Resident Evil 4 because even though its elements is a bit far from the first 3 resident evil games, the essence is still there, the puzzles are a bit challenging, the action is quite decent for a capcom game despite the cliche storyline. I don't play it anymore though. I like too many genres to pick one. @killered3: Can you pick one from each genre then? As cliche as it is, Super Mario. To this day i have to play it once a year or so. I don't think I could pick just one. I guess this is solely on a personal basis? If so, i go with Disgaea 1. Everything in it feels like it was tailored for me. The superb lighthearted story, the fantastic VA combined with the best SRPG gameplay I have ever seen (when it released), the huge amount of content and how far it went (with Level 9999 being the beginning and your hero literally riding meteorites to attack enemies) blew me away. It's my fav. game to this very point. Of all the games I have played there was one game that stands out in my mind. Tom Clancy's Splinter Cell: Chaos Theory. Many of my favorite games over the years were games that ushered in the new generation. Mario 64, Call of Duty 2, games early in a consoles life. Chaos Theory stood out because it came at the end of a generation but was such a leap in tech over other games at the time. I was blown away by the graphics immediately. It felt like a next gen game on last gen hardware, only time I ever experienced that near the tail end of a console generation. Not necessarily the "best" games technically or by any testable standard. But just based on how much I enjoyed the games. Last of us remastered. Absolute phenomenal game, story, graphics. I love the stealth in this game. It's one of the few games that I can replay over and over again and not get tired of. Witcher 3 is probably a close second. Maybe bloodborne in my top 5. Mmm...metal gear solid 1...still one of my favorites. The Uncharted Series Tied with Super Mario Bros.
That game was addicting as hell. Still have my N64 and the game. I played many of the single player missions over and over again throughout the years. I still occasionally play it to this day too. Can't believe it's almost 10 years old. Same for the single player missions in MW and MW2. I hope CoD shifts away from futuristic settings and moves back into the present day or the past. ugh... cant pick just one. Bloodborne is my favourite of these five. But The Last of Us is probably the best one. Final Fantasy X, hands down. Nothing comes close RPG-wise.